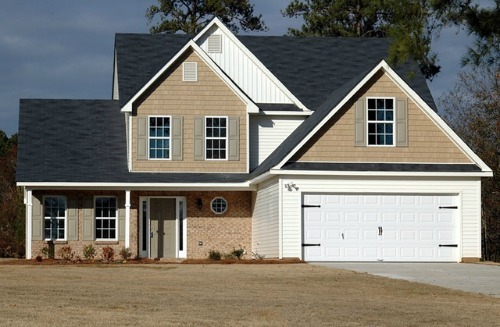 There’s something so exciting about buying a new home, but do you want a new construction home or one that is pre-owed? A pre-owned home may have a charm that is appealing and a new construction home provides opportunities for upgrades and personalization. Let’s take a closer look! Click here to find out how much home you can afford.! The pre-owned home may offer an excellent location close to established businesses, entertainment, and popular recreational attractions. The home may come with a larger parcel, mature trees, and unique architectural features. You’ll want to ask questions about the structural integrity, systems within the home, and any upgrades that were made by the current owner. Inspections and an appraisal will provide useful information when it comes to making an offer. The process of buying a new home might become overwhelming. Nearly all builders have models decked out with gorgeous furnishings, clever staging, soft music, and an inviting pool area. You can expect new construction homes need little maintenance, be built to meet current building codes, and have more energy efficient elements. Remember that there are usually additional costs involved when choosing upgrades and many new construction homes have similar floor plans and fresh landscaping with few mature trees. So, which option is right for your household? Let’s take a look at some of the most popular new home regions in Sarasota and Manatee counties. This region in Manatee County located north of the Manatee River in the unincorporated area of the county. Parrish acquired its name from the early settlers, namely Crawford Parrish, a citrus farmer and rancher who settled in northeast Manatee County in the 1870s. This northernmost area of Manatee County connects with Hillsborough County, which today is amongst the fastest growing region in Florida. Since 2000, the predominantly agricultural lands have been heavily favored by real estate developers and builders. The farmland in recent years has been developed into new home communities with homes that are quickly purchased by first-time homebuyers, second home buyers, and retirees. The Lakewood Ranch community is carefully designed to offer a broad range of home styles that fit a variety of lifestyles and offer plenty of amenities. One of the highlights of the area is the County Club of Lakewood Ranch, a gated community consisting of smaller neighborhood enclaves. You’ll find single family homes, villas, condos, and maintenance free homes within the Lakewood Ranch area. As you begin to explore this community, we think you’ll be amazed at the range of housing options available. Downtown Sarasota features majestic buildings, condos, apartments, and office buildings that have increased in popularity in recent years. Residents enjoy being close to shopping, restaurants, and entertainment. Walking along the downtown streets, you’ll find that the energy builds with the conversations, music spilling into the air, dancers, dogwalkers, and onlookers that all meld into the cacophony of city life. It is an exciting time to live and work downtown. West of the Trail is a small region of stately homes in the vicinity of Sarasota Memorial Hospital, and the area is popular for its quick access to downtown Sarasota and the bayfront. 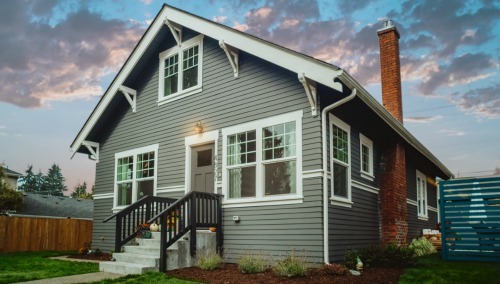 The neighborhood has experienced tremendous transformation from older homes to contemporary homes offering bright finishes that today’s buyers are seeking. The well established and mature landscape adds dramatic flair to the new homes that are beautifully designed and blend in with the neighborhood lifestyle. West of the Trail offers high walkability to schools, shopping, and restaurants. Palmer Ranch consists of 26 communities offering a broad scope of sought after lifestyles for everyone. Well established neighborhoods are adjacent to new home communities popping up within Palmer Ranch. Convenient shopping malls, medical facilities, schools, golf courses, restaurants, and parks are sprinkled throughout the area, offering quick and easy access to all who call Palmer Ranch home. Deciding between a new construction home or an established, pre-owned home can be difficult. Learn more about the most popular communities for new homes in Manatee and Sarasota Counties.